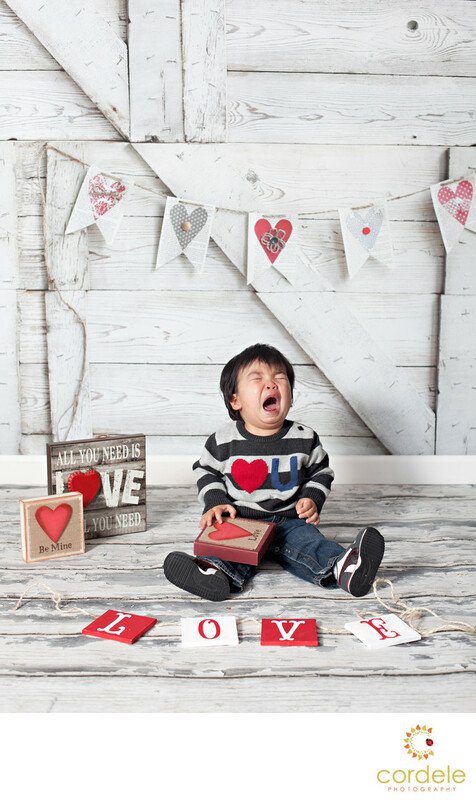 A baby crying over love in this valentines day mini portrait session in the studio. This has got to be one of my favorite studio sessions ever. This little boy obviously has an issue with love!